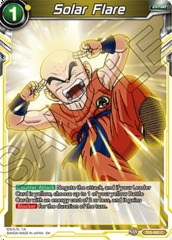 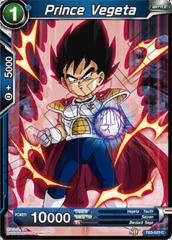 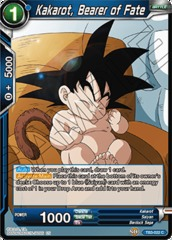 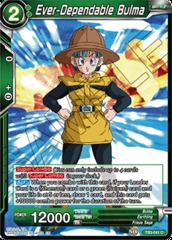 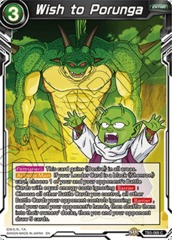 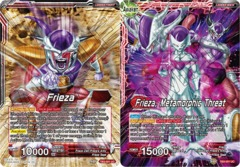 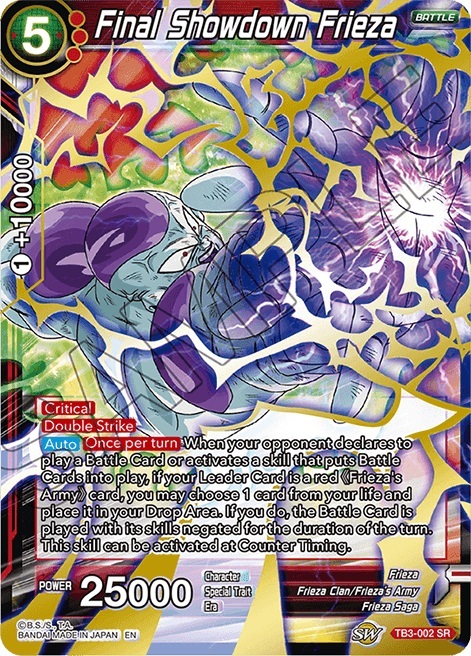 Skill: [Critical] [Double Strike] [Auto][Once per turn] When your opponent declares to play a Battle Card or activates a skill that puts Battle Cards into play, if your Leader Card is a red ?Frieza's Army? 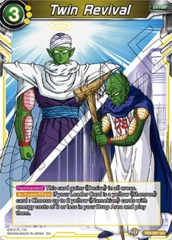 card, you may choose 1 card from your life and place it in your Drop Area. If you do, the Battle Card is played with its skills negated for the duration of the turn. 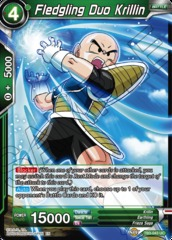 This skill can be activated at Counter Timing.